Hey Arkansas! Get ready for a film and music event you are not going to want to miss. Central Arkansas Library Systems and Arkansas Sounds are sponsoring an incredible free event. At 7pm, 45RPM will be on the big screen, followed by a panel discussion focusing on the Arkansas music that drives the film. Â Panel members include writer/director Juli Jackson, lead actor Jason Thompson, co-producer & music supervisor Mike Poe, and Arkansas garage rock consultant Harold Ott. DVDs, CDs, and artwork will be available for purchase as well as a special giveaway of the limited edition “Rusted Roof” 45 record featured in the film. You must be present to win and you aren’t going to want to miss a moment of this special one night event. Please share with all the film & music lovers you know! So come take a journey to the museumâ€™s beautiful outdoor amphitheater for a night of long roads & lost music. Enjoy a panel discussion before the screening with writer & director Juli Jackson, lead actor Jason ThompsonÂ and artist Mandy Maxwell. Donâ€™t miss original artwork from the film displayed in the Lower Lobby! Charlie and Louie head to the high desert! Very pleased to announce 45RPM is hitting the road yet again as an official selection of the inaugural Joshua Tree International Film Festival. This will mark the film’s West Coast premiere. Writer/Director Juli Jackson will be traveling to the internationally known village of Joshua Tree for the one day screening. For ticket info, check the festival schedule. The JTIFF is an opportunity for filmmakers to exhibit their work before a culturally savvy, open-minded, loyal audience that nurtures the spirit of indie filmmaking. The JTIFF is one of only a handful of opportunities in the Hi-Desert to showcase films that compel, cultivate and challenge audiences. We are excited to announce that 45RPM has been invited to screen at the Delta Flix Film and Media Festival taking place at Arkansas State University. This festival coincides with the Delta Symposium. This yearâ€™s theme â€œThe South Goes to the Moviesâ€ will explore how Americaâ€™s South is represented in film and video. The Arkansas State University Department of Media and Communication is presenting the festival on April 7-11, 2015. Be sure to follow us on Facebook and Twitter for more updates! 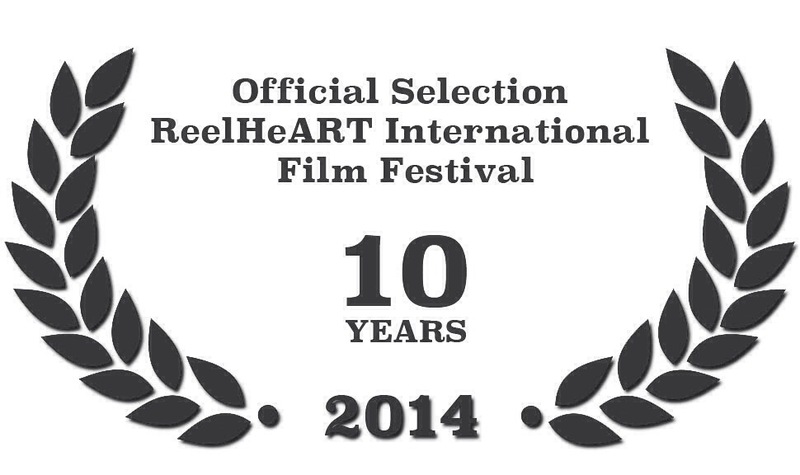 We are very excited to screen at the 10th annual Beloit International Film Festival in Beloit, Wisconsin! Please share with any friends and family you have in the area. Thanks to Adam Fogarty, Kristin Peterson, and all the staff and volunteers as you work hard to make this year’s festival a great experience for visiting filmmakers and the community. Festival attendees can participate in a special social media giveaway for 2 free BOOTLEG SOUNDTRACKS. It’s easy! -At the festival, just pick up any 45RPM swag or promo (“Louie” sunglasses, buttons, posters, postcards) and post a photo featuring yourself, friends, or just comment about the film. -Use the hashtag #45RPMmovie on Facebook, Twitter, or Instagram during the festival dates and your username will automatically be entered into the drawing. Winners are announced after the fest wraps and users will be contacted for mailing info. Don’t miss this chance to have your very own killer soundtrack to the film. Be sure to follow us on social media for updates! 45RPM has been selected to screen as the special closing night film of the Kennett, Missouri’s own Fall Into The Arts Festival. This is your chance to see the film FOR FREE! All of the activities at the fest are free and open to the public. Come out and enjoy local art, performances, and wrap up the day with their mini-film festival. The screening with take place at the newly renovated Kennett Palace Theater in Kennett, Missouri. Starting at 4pm, watch the winners of the short film competition followed immediately by our feature film 45RPM. Q&A discussion with writer/director Juli Jackson afterward. Georgia can’t get enough of 45RPM! Pleased to announce that we are an official selection of The Rome International Film Festival in beautiful Rome, Georgia. We are both pleased and excited to be part of the 2014 line-up and to screen at the historic DeSoto Theatre. Built in 1927, the DeSoto was the first cinema in the Southeastern United States to screen sound films! This festival, now in its 11th year, showcases dozens of feature length and short films every year and programs industry workshops including an annual make-up artist competition. Sounds like a lot of fun so please tell any Georgia peaches you might know where they can catch 45RPM. We are thrilled to announce that 45RPM is an official selection of the 19th annual Stony Brook Film Festival! This will be a New York premiere and director Juli Jackson and lead actress Liza Burns will be traveling to beautiful Long Island for the screening. Follow us on Facebook and Twitter for festival updates, photos and more! Very proud to announce that 45RPM will have its International Premiere at the 10th annual Reel HeART Film Festival in beautiful downtown Toronto! Looking forward to bringing our Southern road movie to a Canadian audience. After 10 awards and 15 festivals located all over the country, indie film 45RPM is finally screening in writer/director Juli Jackson’s hometown of Paragould, Arkansas. Do not miss this! As part of the newly establishedÂ Downtown Paragould Arts and Music FestivalÂ and sponsored by web-guru goYWP, 45RPM will be screeningÂ twice at the Collins Theater. * Don’t miss special giveaways and merchandise on sale!